We can metallize and plate your ceramics here! We can I.D., O.D., complete surface and/or screen print metallizing onto your ceramics. Our plating shop will apply a dull nickel plate to the specified thickness. We can add layers of nickel, copper, silver, and gold to suit your application. 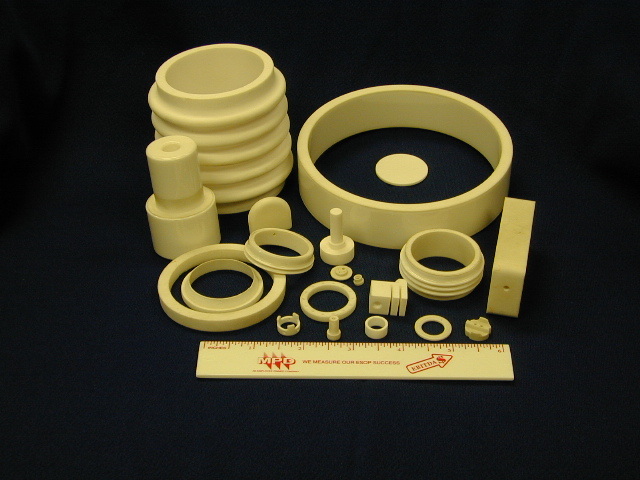 Our ceramic metallizing formulas have been proven over many years with the hermetic seals needed for Vacuum Electron Devices (VED's) like our Planar Triode, Spark Gap, and Magnetron product lines. These ultra high vacuum devices require the best metallized ceramics in order to function reliably for years. We have several proprietary formulas available to meet your needs. Please contact us.